The recent earthquake and tsunami that destroyed the city of Palu and Donggala left a massive recovery and rebuilding effort. 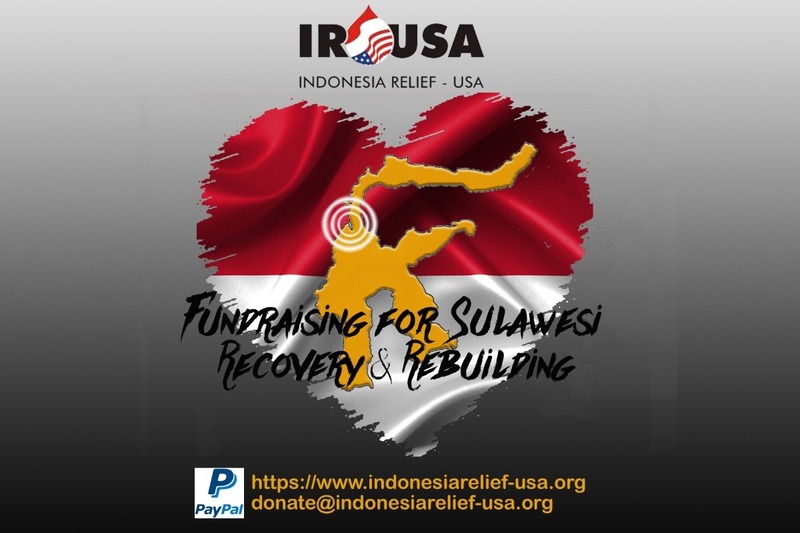 Indonesia Relief USA - a registered 501(c)3 non-profit, charitable organization in the US - is committed to fully participate in that effort and we are asking our friends - Indonesian and those who love Indonesia - to help this rebuilding effort. We are working with many local charitable organizations, and we hope to be able to help rebuild a school in Palu that requires $50,000. Please visit our website at https://www.indonesiarelief-usa.org and donate generously.